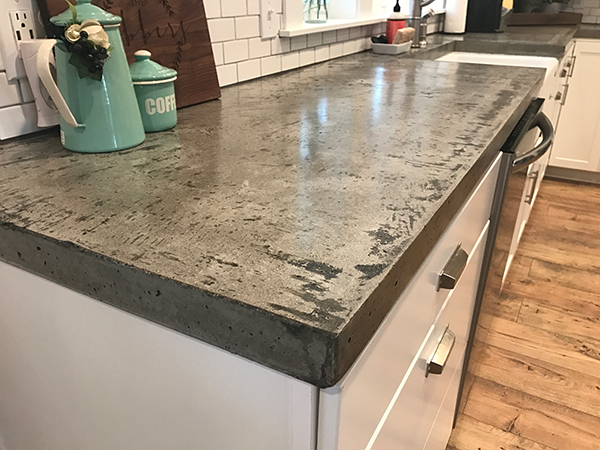 Custom concrete countertops are the most versatile and unique option for use in homes and offices because they are individually made for each customer – homeowners, architects, business owners and designers. We bring a passion for design and innovative skills in handcrafting a distinctive high-end alternative to other countertop materials for the most discriminating home or business owner. 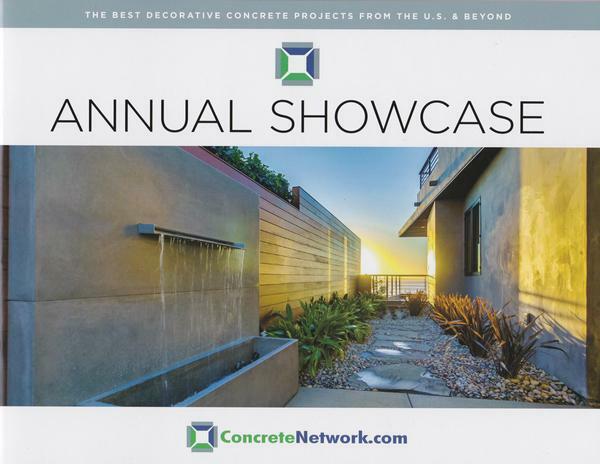 As a concrete artist and finisher we provide endless styling options, including polished concrete countertops that are highly recognized as today’s most popular material. Are you ready to begin a collaborative project with us to design a counter that surpasses the ordinary? Call Crafthammer Design today to get started! You can have custom concrete countertops designed by an expert artisan that transform concrete into functional works of art. Our high-end, uniquely-designed concrete countertops have many incredible attributes serving as high-end counters installed in luxury homes and offices. As an artist and designer I enjoy collaborating with new clients and sharing my vision and design flexibility using concrete material that can be molded and sculpted to their liking. 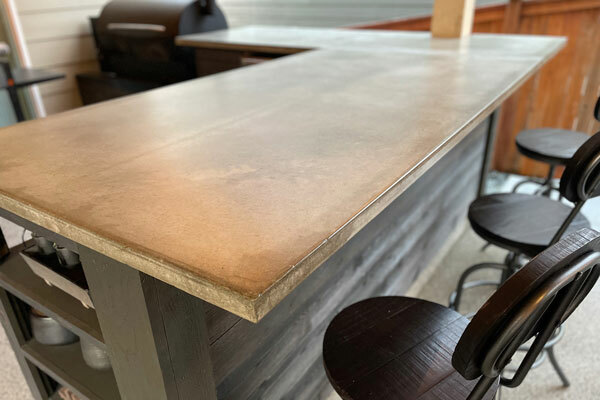 From industrial chic to the smooth flawless finish of polished concrete countertops, the finished product will be an amazing focal point of your kitchen or business office. Call to learn how we can design countertops for your home or business space without limitations. While custom concrete countertops are perfectly suited to homes with an industrial chic flair, because of their design flexibility they are right at home in a modern contemporary setting, a farmhouse design theme, a high-end luxury home or office, or even a small trendy condominium. As an expert artisan my design capabilities offer endless options because each countertop is a unique one-of-a-kind project. While some prefer the natural concrete gray, others have a preference for adding integral color pigments to achieve the perfect hue. 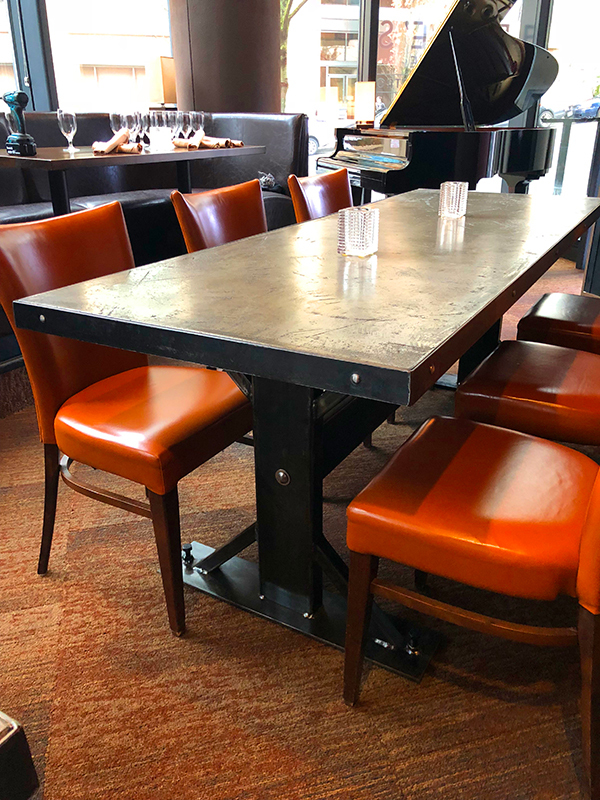 Call Crafthammer Design to discuss the polished concrete countertops pros and cons, and to learn more about our passion for creating a timeless design that combines art, design and craftsmanship.